A sunny day for the 18 who walked from Grassmoor to Matlock, led by David. The route …. 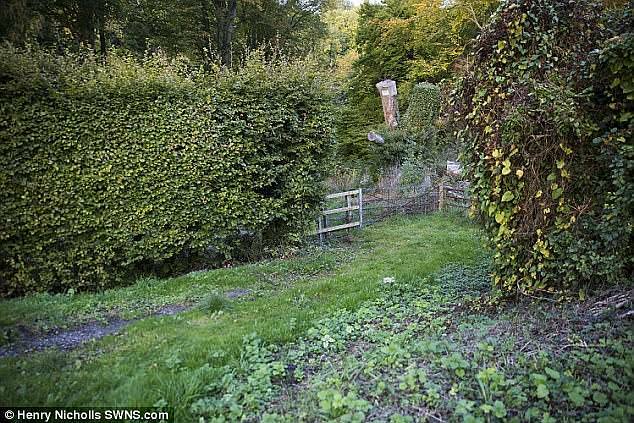 via Tupton, Alton, and Ashover. For some, the journey ended at the Duke of Wellington, for others the centre of Matlock. Our footpaths are in crisis. 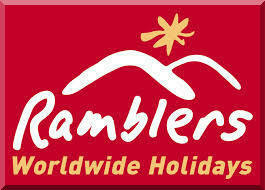 A survey by the Ramblers is showing that budget cuts by many councils are threatening our national network of paths. We in Derbyshire are faring better than most … but we need to be. Our geographical position in the centre of England, combined with a large part of the Peak District within the county, means we are a significant tourist attraction. A Peak Park estimate puts the economic value of tourism to the Peak as £431 million, with 10.6 million visitors, many of whom use our footpaths. It would be a false economy to lower our standards. 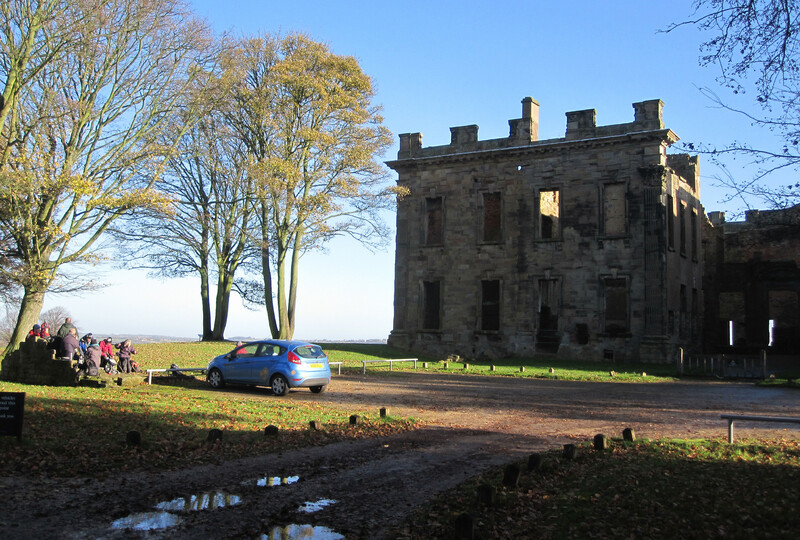 A really dark and wet start to the day, but, as forecast, by 10 am it was wall to wall sunshine for a walk from Temple Normanton to Glapwell – via Sutton Scarsdale Hall and Palterton. Not a mud-free journey, but what can you expect in late November ? Many thanks to John, who led 13 of us. Urban walking is rarely pleasant – but if we want vibrant town centres it’s essential that walkers can get into and around them easily. New York isn’t Chesterfield – but they have recognised that pedestrians (and cyclists) need a better deal. We’ve another meeting at Chesterfield Town Hall today to push, along with others, for better urban walking – which as Janette Sadik-Khan says in this informative and entertaining video, can often be done relatively cheaply and incrementally. The thought of an AGM (Annual General Meeting) usually induces a yawn in most of the population. For Ramblers who would rather be out walking there may be a double yawn, so thanks to all who attended the morning meeting in the Chesterfield Library Lecture Hall. 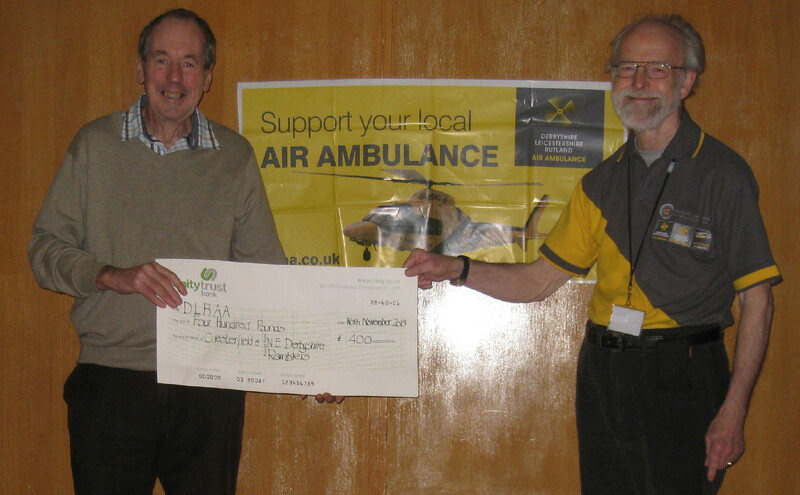 An interesting talk to conclude from Gordon Blount, representing the Derbyshire, Leicestershire, and Rutland Air Ambulance Service, one of the two charities for which we accept donations on our Chesterfield Walking Festival led walks each May. Welcome autumn sunshine for four Wednesday walks. 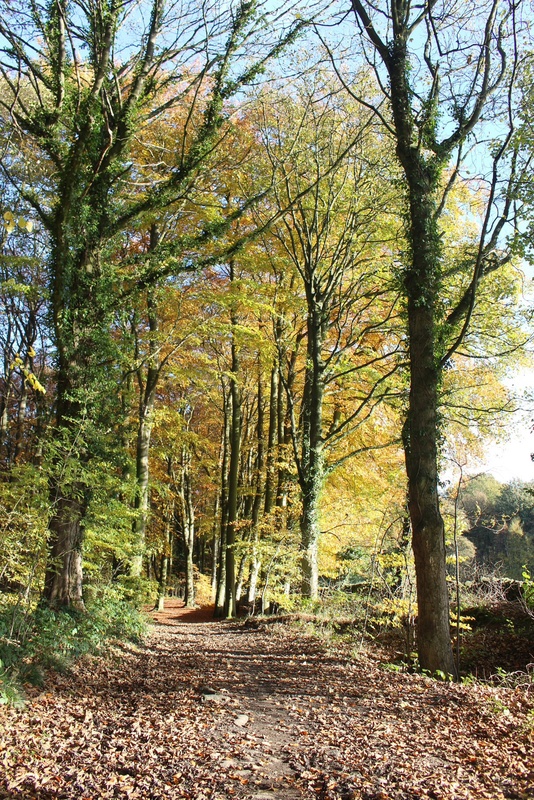 The long car walkers enjoyed the autumn colours in Linacre Woods. Thanks to Cathy for pointing her camera downwards on the recent Chatsworth Park walk. Which one is the Fly Agaric fungi ? 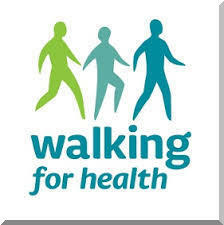 A typical November dull day, but a good turnout of 19 for Val’s walk from Belper to Cromford. An 11 miler via Heage, Sawmills, Bullbridge, Crich, and Whatstandwell – finishing with a three mile walk beside the Cromford Canal as rain steadily set in. Thanks to David for his photos of the trip boat ‘Birdswood’, which we didn’t see on the day, but is now in action, with a booming recorded address apparently from Brian Blessed, President of the Friends of the Cromford Canal. David points out that it’s electrically powered, for environmental reasons. At the moment, because recent dredging by Derbyshire County Council has left insufficient depth, the trip ends at High Peak Junction rather than the turning place near the pump house. As a result, the boat has to do quite a bit of reversing.